John the Apostle (Aramaic: ܝܘܚܢܢ ܫܠܝܚܐ‎‎ Yohanan Shliha; Hebrew: יוחנן בן זבדי‎‎ Yohanan ben Zavdi; Koine Greek: Ἰωάννης; Latin: Ioannes; c. AD 6-100) was one of the Twelve Apostles of Jesus according to the New Testament. He was the son of Zebedee and Salome. His brother was James, who was another of the Twelve Apostles. Christian tradition holds that he outlived the remaining apostles and that he was the only one to die of natural causes: Judas Iscariot died by suicide, while the other ten all are considered to have died a martyr's death. This is because the Church Fathers considered him the same person as John the Evangelist, John of Patmos, John the Elder and the Beloved Disciple, although modern theologians and scholars have not formed a consensus on the relative identities of these men. The traditions of most Christian denominations have held that John the Apostle is the author of several books of the New Testament. 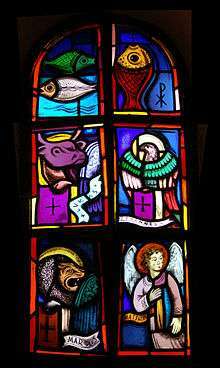 Church tradition has held that John is the author of the Gospel of John and four other books of the New Testament — the three Epistles of John and the Book of Revelation. In the Gospel, authorship is internally credited to the "disciple whom Jesus loved" (ὁ μαθητὴς ὃν ἠγάπα ὁ Ἰησοῦς, o mathētēs on ēgapa o Iēsous) in John 20:2. John 21:24 claims that the Gospel of John is based on the written testimony of the "Beloved Disciple". The authorship of some Johannine literature has been debated since about the year 200. 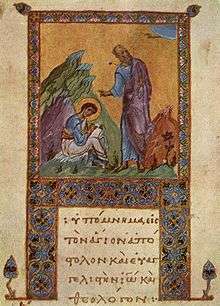 Some doubt that the "Gospel of John" was even written by an individual named "John" (Ἰωάννης or יוחנן). 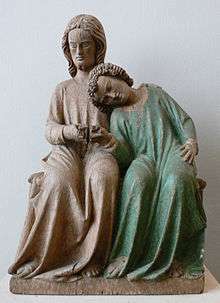 Nevertheless, the notion of "John the Evangelist" exists, and is still considered by some the same as the Apostle John. In his Ecclesiastical History, Eusebius says that the First Epistle of John and the Gospel of John are widely agreed upon as his. However, Eusebius mentions that the consensus is that the second and third epistles of John are not his but were written by some other John. Eusebius also goes to some length to establish with the reader that there is no general consensus regarding the revelation of John. The revelation of John could only be what is now called the book of Revelation. The Gospel according to John differs considerably from the Synoptic Gospels, likely written decades earlier than John's gospel. The bishops of Asia Minor supposedly requested him to write his gospel to deal with the heresy of the Ebionites, who asserted that Christ did not exist before Mary. John probably knew and undoubtedly approved of the Gospels of Matthew, Mark, and Luke, but these gospels spoke of Jesus primarily in the year following the imprisonment and death of John the Baptist. Around 600, however, Sophronius of Jerusalem noted that "two epistles bearing his name ... are considered by some to be the work of a certain John the Elder" and, while stating that Revelation was written by John of Patmos, it was "later translated by Justin Martyr and Irenaeus", presumably in an attempt to reconcile tradition with the obvious differences in Greek style. Until the 19th century, the authorship of the Gospel of John had been attributed to the Apostle John. However, most modern critical scholars have their doubts. Some scholars place the Gospel of John somewhere between AD 65 and 85; John Robinson proposes an initial edition by 50–55 and then a final edition by 65 due to narrative similarities with Paul. :pp.284,307 Other scholars are of the opinion that the Gospel of John was composed in two or three stages. :p.43 Most contemporary scholars consider that the Gospel was not written until the latter third of the first century AD, and with an earliest possible date of 75-80 CE. "...a date of 75-80 CE as the earliest possible date of composition for this Gospel". Other scholars think that an even later date, perhaps even the last decade of the first century AD right up to the start of the 2nd century (i.e. 90 - 100), is applicable. Nonetheless, today many theological scholars continue to accept the traditional authorship. Colin G. Kruse states that since John the Evangelist has been named consistently in the writings of early church fathers, "it is hard to pass by this conclusion, despite widespread reluctance to accept it by many, but by no means all, modern scholars." 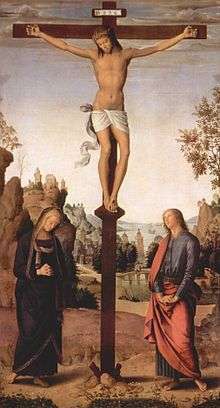 The Gospel of John was written by an anonymous author. According to Paul N. Anderson, the gospel "contains more direct claims to eyewitness origins than any of the other Gospel traditions". F. F. Bruce argues that 19:35 contains an "emphatic and explicit claim to eyewitness authority". Bart D. Ehrman, however, does not think the gospel claims to have been written by direct witnesses to the reported events. The author of the Book of Revelation identifies himself as "John" The early 2nd century writer, Justin Martyr, was the first to equate the author of Revelation with John the Apostle. However, some biblical scholars now contend that these were separate individuals. Some modern higher critical scholars have raised the possibility that John the Apostle, John the Evangelist, and John of Patmos were three separate individuals. These scholars assert that John of Patmos wrote Revelation but neither the Gospel of John nor the Epistles of John. For one, the author of Revelation identifies himself as "John" several times, but the author of the Gospel of John never identifies himself directly. 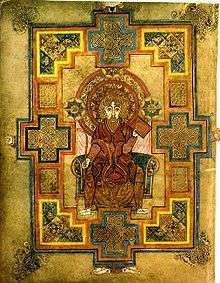 Some Catholic scholars state that "vocabulary, grammar, and style make it doubtful that the book could have been put into its present form by the same person(s) responsible for the fourth gospel". John the Apostle was the son of Zebedee and the younger brother of James, son of Zebedee (James the Greater). According to Church tradition, their mother was Salome. Zebedee and his sons fished in the Sea of Galilee. The brothers were firstly disciples of John the Baptist. Jesus then called Peter, Andrew and these two sons of Zebedee to follow him. James and John are listed among the Twelve Apostles. Jesus referred to the pair as "Boanerges" (translated "sons of thunder"); although their nature was calm and gentle, when their patience was pushed to its limits their anger became wild and thunderous causing them to speak out like an untamed storm. A gospel story relates how the brothers wanted to call down heavenly fire on a Samaritan town, but Jesus rebuked them. [Lk 9:51-6] John lived more than half a century after the martyrdom of James, who was the first Apostle to die a martyr's death. Peter, James and John were the only witnesses of the raising of Daughter of Jairus. All three also witnessed the Transfiguration, and these same three witnessed the Agony in Gethsemane more closely than the other Apostles did. John was the disciple who reported to Jesus that they had 'forbidden' a non-disciple from casting out demons in Jesus' name, prompting Jesus to state that 'he who is not against us is on our side'. A messianic community existed at Ephesus before Paul's first labours there (cf. "the brethren"),[Acts 18:27] in addition to Priscilla and Aquila. The original community was under the leadership of Apollo (1 Corinthians 1:12). They were disciples of John the Baptist and were converted by Aquila and Priscilla. According to Church tradition, after the Assumption of Mary, John went to Ephesus. From there he wrote the three epistles attributed to him. John was allegedly banished by the Roman authorities to the Greek island of Patmos, where, according to tradition, he wrote the Book of Revelation. According to Tertullian (in The Prescription of Heretics) John was banished (presumably to Patmos) after being plunged into boiling oil in Rome and suffering nothing from it. It is said that all in the audience of Colosseum were converted to Christianity upon witnessing this miracle. This event would have occurred in the late 1st century, during the reign of the Emperor Domitian, who was known for his persecution of Christians. In art, John as the presumed author of the Gospel is often depicted with an eagle, which symbolizes the height he rose to in his gospel. 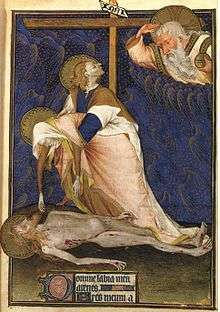 In Orthodox icons, he is often depicted looking up into heaven and dictating his Gospel (or the Book of Revelation) to his disciple, traditionally named Prochorus. 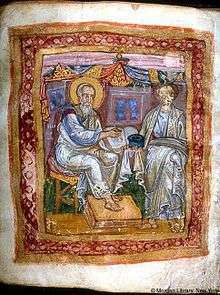 Apostle John and Marcion of Sinope, 11th century Italy. Until 1960, another feast day which appeared in the General Roman Calendar is that of "Saint John Before the Latin Gate" on May 6, celebrating a tradition recounted by Jerome that St John was brought to Rome during the reign of the Emperor Domitian, and was thrown in a vat of boiling oil, from which he was miraculously preserved unharmed. A church (San Giovanni a Porta Latina) dedicated to him was built near the Latin gate of Rome, the traditional site of this event. The Orthodox Church and those Eastern Catholic Churches which follow the Byzantine Rite commemorate the "Repose of the Holy Apostle and Evangelist John the Theologian" on September 26. On May 8 they celebrate the "Feast of the Holy Apostle and Evangelist John the Theologian", on which date Christians used to draw forth from his grave fine ashes which were believed to be effective for healing the sick. Other Christians highly revere him but do not canonize or venerate saints. The Church of Jesus Christ of Latter-day Saints (LDS Church) teaches that John received the promise of immortality from Jesus Christ, as recorded in John 21:21–23 and the seventh chapter of the Doctrine and Covenants. It also teaches that in 1829, along with the resurrected Peter and the resurrected James, John visited Joseph Smith and Oliver Cowdery and restored the priesthood authority with Apostolic succession to earth. John, along with the Three Nephites, will live to see the Second Coming of Christ as translated beings. 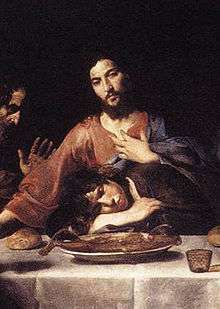 The LDS Church teaches that John the Apostle is the same person as John the Evangelist, John of Patmos, and the Beloved Disciple. ↑ "Saint John the Apostle". Encyclopedia Britannica. ↑ The History of the Church by Eusibius. Book three, point 24. ↑ Robinson, John A.T. (1977). Redating the New Testament. SCM Press. ISBN 978-0-334-02300-5. 1 2 Bart D. Ehrman (2005:235) Lost Christianities: the battles for scripture and the faiths we never knew Oxford University Press, New York. ↑ Geoffrey W. Bromiley (1995:287) International Standard Bible Encyclopedia: K-P MATTHEW, GOSPEL ACCORDING TO. Wm. B. Eerdmans Publishing. Quote: "Matthew, like the other three Gospels is an anonymous document." ↑ Ehrman, Bart D. (2004). The New Testament: A Historical Introduction to the Early Christian Writings. New York: Oxford. p. 468. ISBN 0-19-515462-2. ↑ "Church History, Book III, Chapter 39". The Fathers of the Church. NewAdvent.org. Retrieved 1 June 2015. ↑ saint, Jerome. "De Viris Illustribus (On Illustrious Men) Chapter 9 & 18". newadvent.org. Retrieved 2 June 2015. ↑ Griggs, C. Wilfred. "John the Beloved" in Ludlow, Daniel H., ed. Selections from the Encyclopedia of Mormonism: Scriptures of the Church (Salt Lake City, Utah: Deseret Book, 1992) p. 379. Griggs favors the "one John" theory but mentions that some modern scholars have hypothesized that there are multiple Johns. 1 2 "Fonck, Leopold. 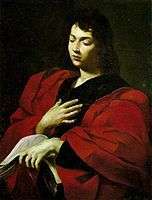 "St. John the Evangelist." The Catholic Encyclopedia. Vol. 8. New York: Robert Appleton Company, 1910. 6 Feb. 2013". Newadvent.org. 1910-10-01. Retrieved 2013-05-03. ↑ "Vailhé, Siméon. "Ephesus." The Catholic Encyclopedia. Vol. 5. New York: Robert Appleton Company, 1909. 6 Feb. 2013". Newadvent.org. 1909-05-01. Retrieved 2013-05-03. ↑ Irenaeus, Against Heresies, III.3.4. ↑ Cheyne, Thomas Kelly (1901). Encyclopaedia Biblica, Volume 2. Adam and Charles Black. pp. 2509–11. Although Papias' works are no longer extant, the fifth century ecclesiastical historian Philip of Side and the ninth-century monk George Hamartolos both stated that Papias had written that John was "slain by the Jews." ↑ Rasimus, Tuomas (2010). The Legacy of John: Second-Century Reception of the Fourth Gospel. BRILL. p. 5. ISBN 9789004176331. Rasimus finds corroborating evidence for this tradition in "two martyrologies from Edessa and Carthage" and writes that "Mark 10:35-40//Matt. 20:20-23 can be taken to portray Jesus predicting the martyrdom of both the sons of Zebedee." ↑ Culpepper, R. Alan (2000). John, the Son of Zebedee: The Life of A Legend. Continuum International Publishing Group. p. 172. ISBN 9780567087423. ↑ Swete, Henry Barclay (1911). The Apocalypse of St. John (3 ed.). Macmillan. pp. 179–180. ↑ "The Calendar". 16 October 2013. 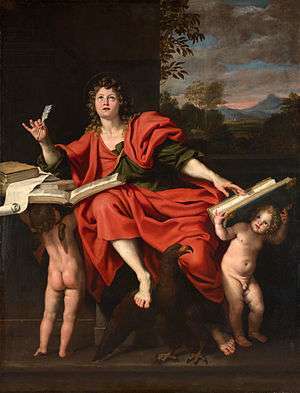 Wikimedia Commons has media related to John the Evangelist.